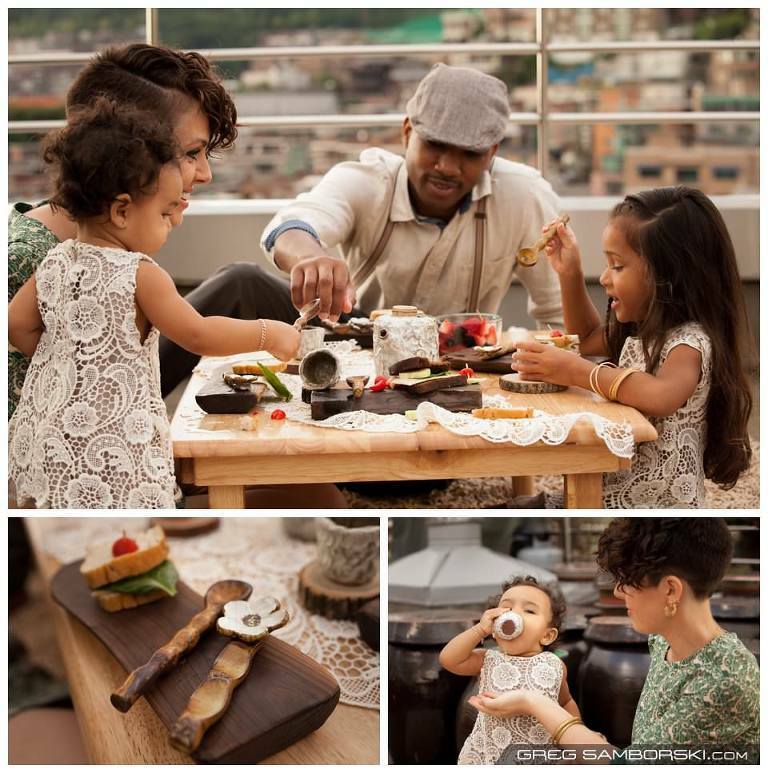 Itaewon, Seoul South Korea: What images come to mind when you think of family portraits? Aside from those burned into my retina at Awkward Family Photos I generally picture mom, dad, and a couple of kids grouped together somewhere in a park or on a beach. 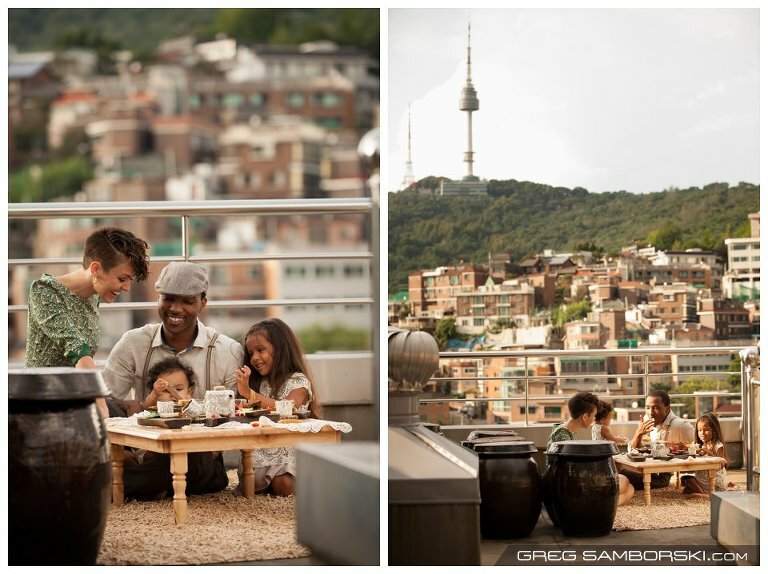 When Sarah told me she wanted photos of her family taken on a rooftop in Itaewon I was all ears. Too often my clients and I try to find the “pretty parts ” of the city for my family portraits and engagements. This usually involves shooting at a temple, palace, park or around the trendy areas such as Insa-dong and Samcheong-dong. I love that Sarah embraced Itaewon for what it was, one of the few remaining areas of inner Seoul that still has a Korean rawness to it, an area that hasn’t yet been leveled and rebuilt with fancy skyscrapers and shopping malls. My wife and I had the opportunity to meet Sarah and her two beautiful daughters ages 1 and 5 for coffee before visiting Canada back in July (unfortunately Sarah’s husband had to work on base that evening). As we sipped on smoothies Sarah told us a little about herself as she juggled her todler Priya on one arm and kept Anisa busy coloring with the other hand. She and her family had just come from a military posting in Washington. 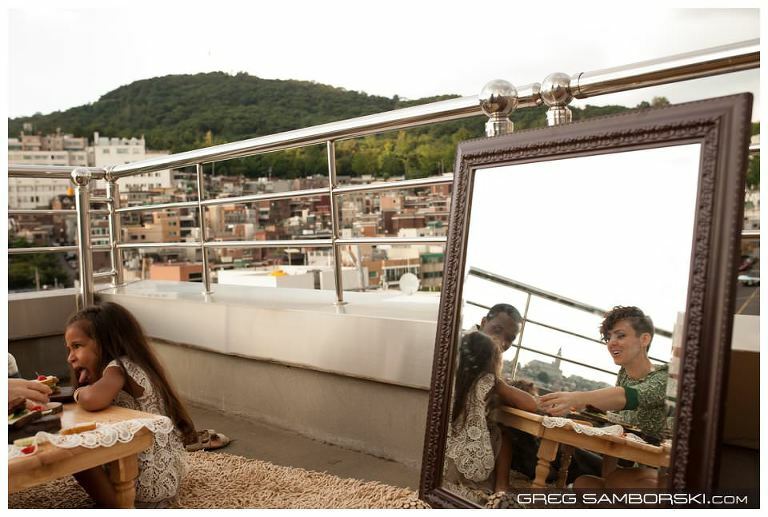 She now found herself in a new country/culture raising two young girls and making preparations for an elaborate photo shoot. 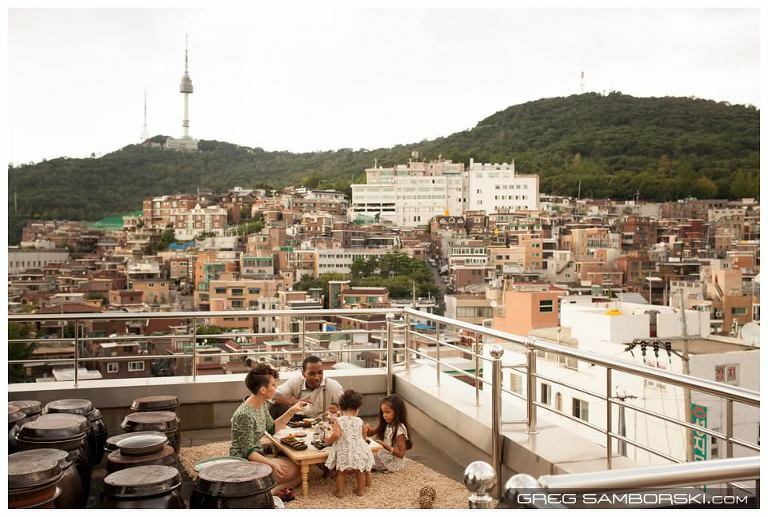 Sarah had visions of her family against the backdrop of the old city, Korean rooftops complete with laundry lines and kimchee pots fading of into the distance. 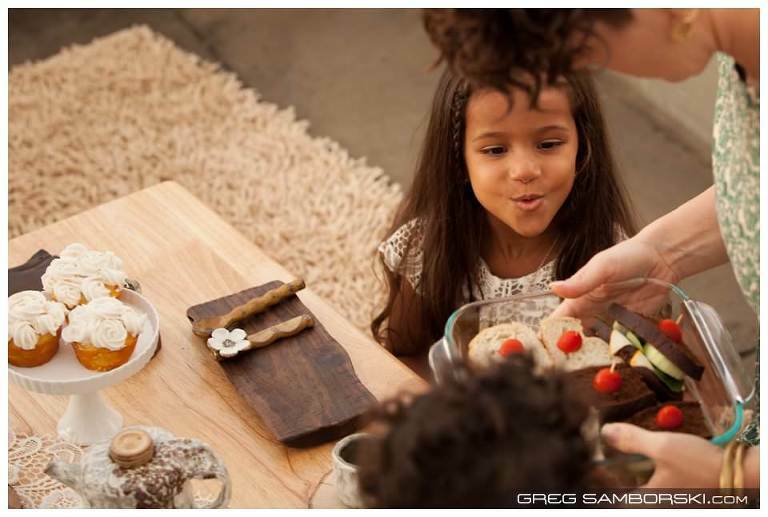 The theme would be a tea party hosted by her daughters. There would be traditional Korean tea wears, sandwiches, berries, cupcakes, a mirror and, my favorite, a big shaggy rug! For the shoot we both agreed it would be best to go easy on the posing and heavy on the candids. When our shoot date finally came Sarah delivered on all she promised. The radiant family of four showed up dressed perfectly for the occasion. Their wardrobe not only meshed beautifully with one another, it also complemented their skin tones, the location, the props and even the light! We spent roughly two hours eating, playing games and striking the occasional pose. I’m so happy with the photos we captured. They show what a genuinely fun, fantastic and beautiful family the Sims are. Many families possess these traits but it was Sarah’s exceptional foresight and detailed preparation that tied everything together so seamlessly. I enjoyed working with the Sims Family immensely. When a client approaches me with a clear concept it inspires me. I love working towards capturing the photos they had envisioned in their mind’s eye. I have just stumbled across your website and have spent some lovely time admiring your amazing photos. I am an aspiring photographer in Seoul, and your photos have left me very inspired. This post about the Sims family is my favourite, and I couldn’t help sending you a quick message to tell you how wonderful it is!